Workers offer their tips, advice and motivations for sharing their lives on social media. We spend over 2,000 hours a year in close proximity with our colleagues, which means we may see our colleagues more than we see our own family. But the boundaries of when and how we should acknowledge our colleagues in social media spaces can get blurred. And no wonder: Although it may not seem novel now, employees communicating through instant messages, GIFs, heart emojis and a pointedly brief “k” is still a very young phenomenon. Facebook just turned 15 years old, and the first tweet ever posted was in 2006. Instagram direct messages did not exist as recently as seven years ago, and Slack just debuted in 2013. With each advance in social media technology, we get new ways to find and connect with each other. But should we be so connected with people we work with? Those in previous generations may have wondered about how to interact with that weird guy from sales when spotting him at the grocery store, for example. Now, we can follow his Facebook account or be matched with him on a dating app. For professors, workplace contacts include students. Joseph Osmundson, a writer, clinical assistant professor of biology at New York University and one of the hosts of the “Food 4 Thot” podcast, said his students sometimes find him on the dating app Grindr. “Because it uses location, students see me on it all the time, and message a lot. And I’m like: BLOCKED,” he said. Clearly, we do not have a shared understanding of what social media etiquette among colleagues or workplace acquaintances should be. When HuffPost asked readers about their personal policies, the only rule in common was that there was no one rule. How colleagues interacted depended on their industry, the type of nosy colleagues they had, their motivations, and where they fall on the corporate ladder. Social media users often choose to display a curated look at their lives ― a view in which the sun is always shining and the LOLs never stop. One risk of sharing is forgetting that your online persona is being judged. And when that audience includes managers with disciplinary authority, even seemingly common interactions can lead to negative repercussions. That’s what happened to Holly, a worker in the U.K. who asked that her last name be withheld to protect her privacy. When Holly was at the hospital for 10 days, she went on Instagram and Twitter to kill time. Scrolling and sharing posts was her emotional release from boredom, but her colleagues saw a different story. Some people forgo the headache of negotiating limits on social media and choose not to engage with co-workers at all. “I work very closely with school administrators and I believe seeing someone posting about a trip when I know they have called in sick would put me in an uncomfortable position,” said Eileen, who works in a middle school and asked to use just her first name to protect her privacy. She took herself off Facebook to avoid colleagues. Marshall McLuhan’s famous phrase explains how a medium influences how a message is received. Each social network comes with built-in expectations. 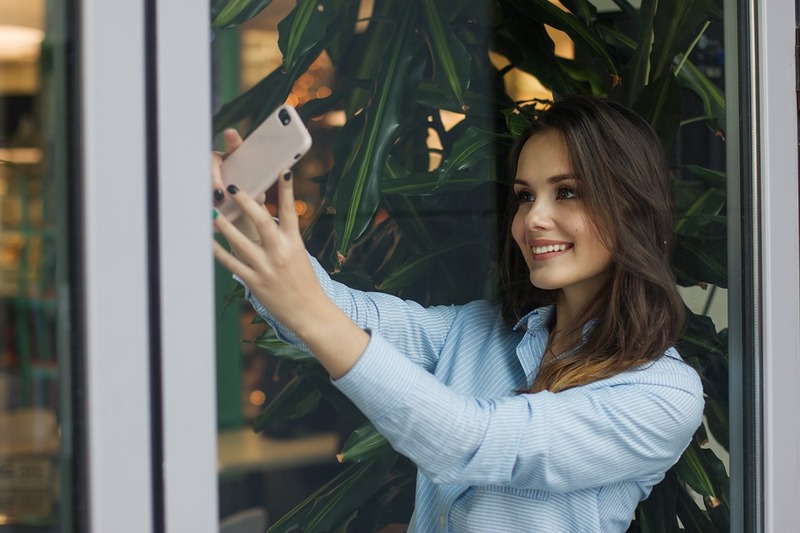 LinkedIn is known to be a professional space for job seekers and aspiring thought leaders, so getting a “like” there may not hold the same meaning as getting one on your Instagram selfie. One manager said LinkedIn is the only social media platform on which she talks to colleagues to discuss professional interests. What you posted previously in a given space can also indicate how you choose to interact with colleagues on it. There is also comfort in staying a little more anonymous. Holly takes a more relaxed approach on Twitter and Instagram, where she doesn’t display her real name. For bosses, it gets trickier. Once gained, certain knowledge cannot be forgotten. And sometimes it is sought out. One manager admitted to HuffPost that she used social media to monitor her employees when she had questions about their attendance. Briggs said she once unfollowed a colleague on Facebook after he shared an anti-Latino post tied to President Donald Trump’s campaign. “When you re-post, it’s virtually impossible to explain the nuances of the lines of agreement and disagreement. It’s hard to unsee and I just didn’t want to see more,” she said. Despite the risks inherent in sharing and following colleagues, many people continue to seek the connections. Social media can create bonds that last long after a job ends. Try to reserve judgment on why people choose to share their lives. What one person considers oversharing can be a lifeline for others. Even tough moments can be positive and educational when shared. On his public Twitter, Osmundson is frank about therapy, heartbreak and sexual desire. Although he worries all the time that his online personality could jeopardize his employment, he said that modeling this openness for others who may be watching is worth it. Feeling a part of online communities can make the hassles of having colleagues in those spaces worthwhile. As you look at pending friends or follows, you must ask yourself: How much of your hand do you want to show this person?